Charging technology has jumped up many levels in the past year. Be it OnePlus 6T McLaren Edition, Mate 20 Pro‘s 40W SuperCharge or Oppo’s 50W SuperVOOC, we’ve got faster and faster as the months have passed. So, how can Xiaomi sit back and relax? While other companies have improved fast charging by a few degrees, Xiaomi seems to have invested time and money to develop a significant upgrade in power and speed. Today, the company showed off a 100W “Super Charge Turbo” technology on China’s Twitter-clone Weibo. 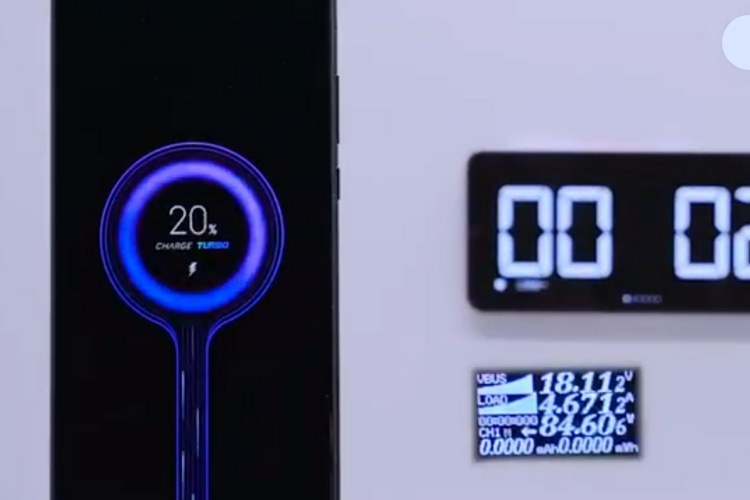 Xiaomi pitted its prototype smartphone utilizing its 100W Super Charge Turbo technology against the fastest charging smartphone right now, i.e. the Oppo R17 Pro. It comes with Oppo’s 50W SuperVOOC charging and can fully juice up the 3,700 mAh battery on the R17 Pro in about 35 minutes. Well, Xiaomi has doubled the input power to 100W and that has cut the charging time in half – exactly half, which is really awesome. Lin Bin hasn’t talked about how the Super Charge Turbo technology works but we expect it to utilize a dual-battery module that we have already seen on the Oppo R17 Pro. The charging brick would also be massive since the power output is massive and it also needs to pack protections to safeguard its devices from bursting or exploding. One major concern still has to be the heat build-up during the charging process. Xiaomi is keeping mum on the details right now, but “liquid cooling” technology could be the answer. We have seen it on the Black Shark 2. So, are you excited for super fast charging speeds from Xiaomi? Do you think Xiaomi is getting ahead of itself with the 100W charging technology? Let us know your opinions in the comments below.